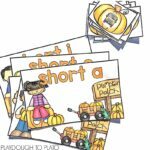 If you’re looking for a fun way to teach digraphs like SH-, CH- and TH-, you’ll love these free gumball puzzles. 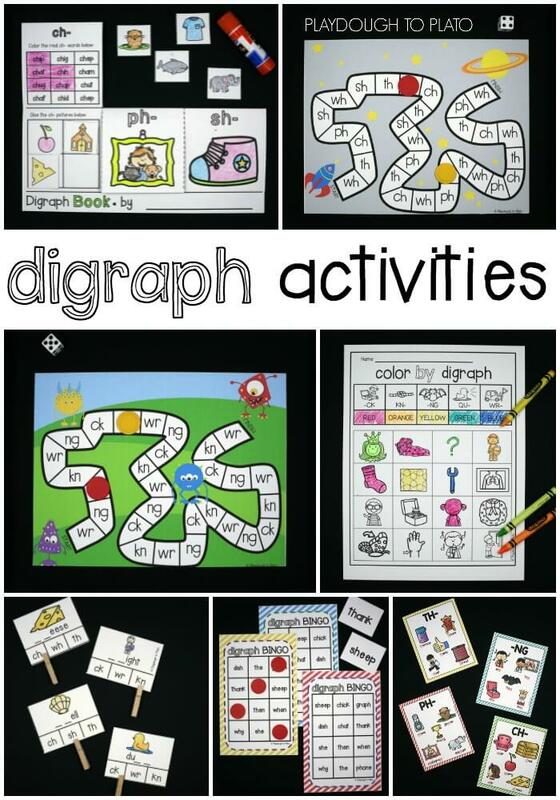 The digraph puzzles are so easy to make and fun to play. 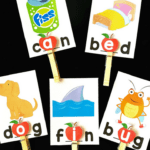 They’re great to use as literacy centers or guided reading activities! 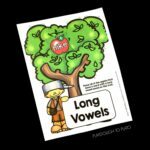 To prep, I simply printed the gumball puzzles (below) on cardstock to give them extra durability and cut along the dotted lines to separate the pieces. 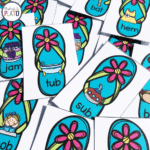 If you’ll be using them in the classroom, you could laminate them to make the cards even sturdier. I placed all of the gumball machine bottoms in a stack face down on the table and then spread out the gumball tops face up around it. When the activity was ready, I divided the kids in groups and had the first player pick up the first card in the gumball bottom deck. 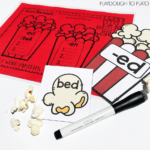 She read the digraph sound and thought of a word that included it. 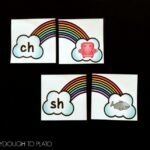 “SH is for ship!” she said proudly. Then she turned her attention to the next step: finding a picture that started with that SH sound. “Shark!” she exclaimed just few moments later. She placed the top of her gumball machine above the SH on bottom. 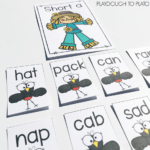 I recommend starting with the beginning digraphs first and then moving on to the ending digraphs when kids are ready for some extra challenge. 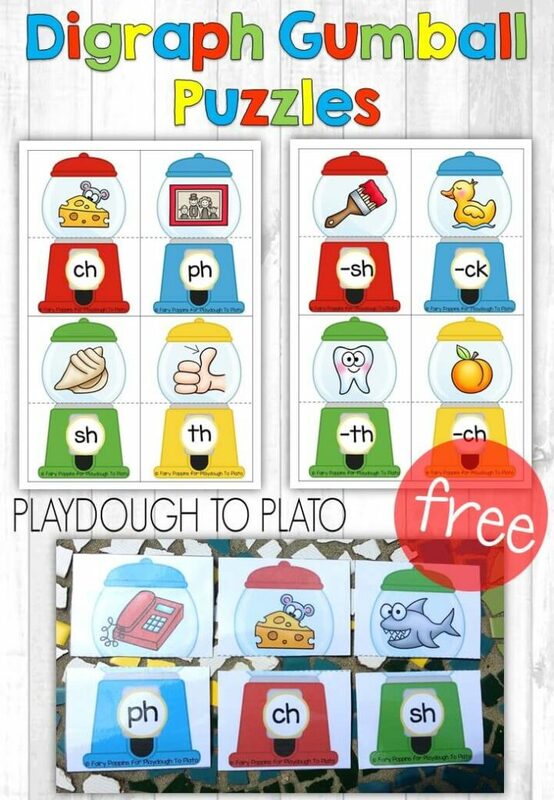 You can even use the full set later as a review activity! 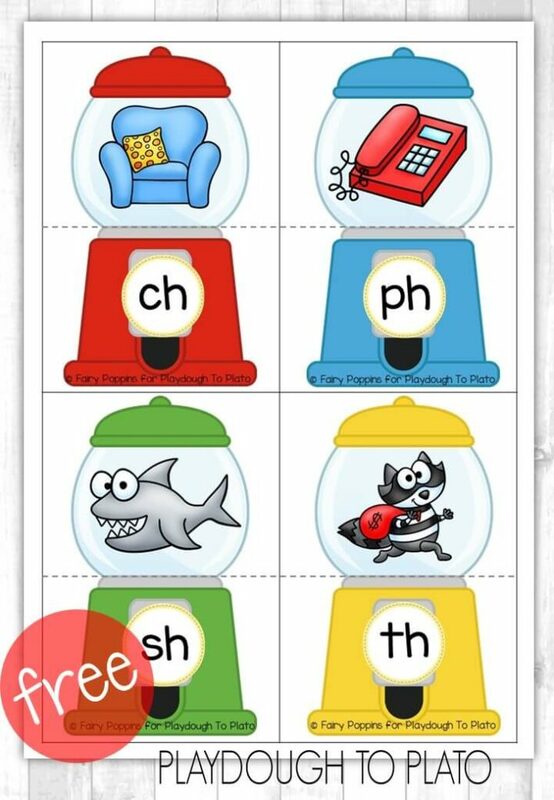 Click the blue button below to grab your free gumball digraph puzzles and then hop over and snag more addictively fun games in our Digraph Activity Pack!